After a long, long day of travel yesterday, I didn’t feel like doing much today. 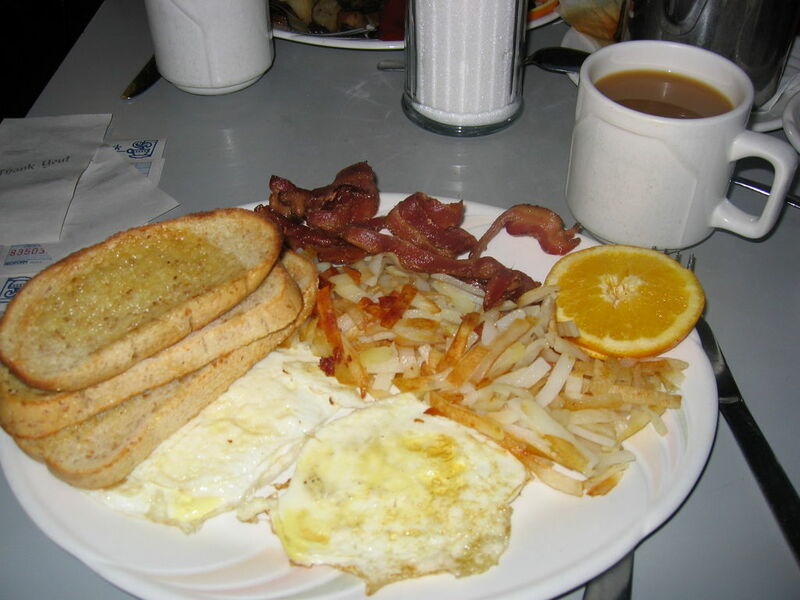 The only thing I really left the house for was breakfast with my dad at his favourite breakfast place – The Wright Spot. The restaurant also has a large selection of newspapers for diners. It is a popular hangout and breakfast spot for locals, especially members of the local farming community. It’s possible to get eggs and bacon for breakfast in Japan, but it usually comes with a salad instead of a potato. It was nice to have a nice Canadian style breakfast for a change. (2014 Update) Unfortunately the Wright Spot closed a few years ago. My dad has moved on to a new favourite breakfast spot. This entry was posted on December 21, 2014, 8:00 pm and is filed under Return to Canada. You can follow any responses to this entry through RSS 2.0. You can leave a response, or trackback from your own site.